Packet-optical equipment developer Transmode says that US regional carrier Comlink has started deploying 100G managed services using Transmode's TM-Series platform. Comlink, a supplier of cloud-based services, has a regional network with thousands of miles of fibre deployed through Michigan, Ohio, Indiana, Illinois and Wisconsin. The operator used Transmode’s metro/regional 100G product running over its existing fibre-optic network and optical hardware to provide high-capacity connectivity for a large service provider customer. The new service had to be deployed rapidly. In November 2014 Comlink decided that it needed to rapidly increase the capacity of a significant section of its network to 100G. Having considered its options, Comlink chose to deploy Transmode's pluggable-optics 100G platform because it not only met the stringent reliability and scalability requirements but it could also be delivered both quickly and cost-effectively. A significant factor in Transmode winning the contract was the vendor’s ability to rapidly deliver, install and commission the new equipment by the end of 2014 in order to meet the rapidly-growing needs of Comlink’s large service provider client, the company says. The new network, which took less than a month to deploy from initial discussions to service commissioning, uses Transmode's TM-Series to run 100G as an alien wavelength over the existing 10G ROADM network supplied by the incumbent vendor. The 100G wavelength fully interworks with the existing network and simply requires new hardware at the end points of the new service. John Summersett, Comlink’s COO, said: "Bringing new services to our customers and increasing customer service are always top priorities for us at Comlink. This new 100G managed service using Transmode's 100G solution has enabled us to achieve this within a very short period of time and very cost effectively. The solution was simple to bring up and has worked extremely well with our existing network infrastructure. We are now able to offer 100G connectivity services to our most bandwidth intensive customers between any points in our network." Björn Andersson, Transmode's vice president Americas, commented: "We are delighted to be announcing Comlink as a new customer in the US. Designing and building this network demonstrates not only the quality of our 100G solution but also its ability to interoperate with third-party networks. 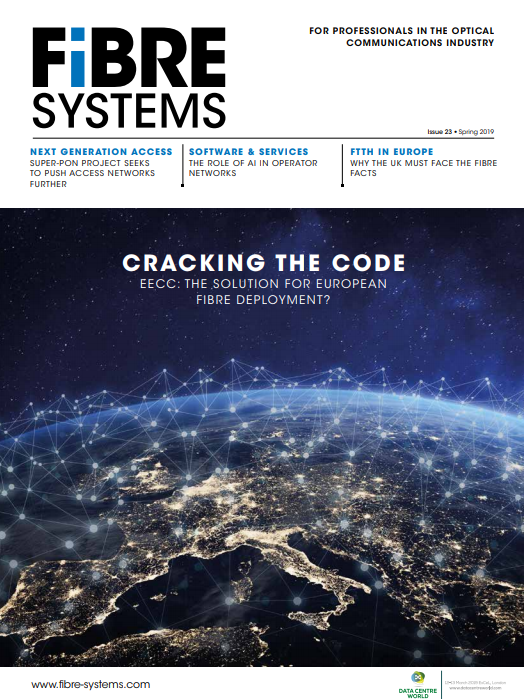 The project also demonstrated the responsiveness of our whole team, which has gone the extra mile to deliver this network within a very short timescale."